In 1942 a Disney animator named Carl Barks concluded his ongoing sinus problems wouldn’t improve while he continued to work in an air conditioned environment. It’s a relatively mundane decision, but the step that formed a genius. 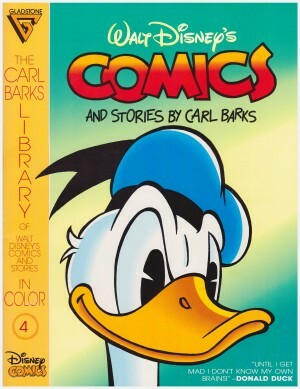 Already adept at drawing Disney’s characters, he tested the waters by producing his first few Donald Duck strips in his spare time, and was rapidly given all the work he could handle. 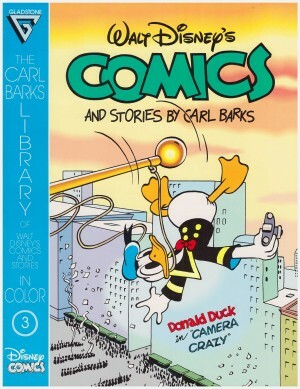 Once he hit his stride, page for page, panel for panel, the comic strips of Carl Barks stand up against any of the form’s giants across the globe. 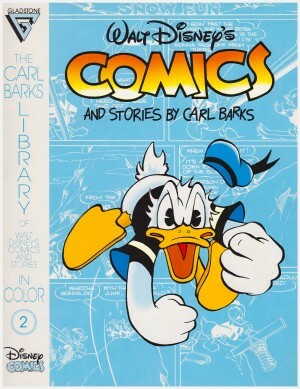 Having said that, these stories are Barks starting out, and it’s not immediately apparent from this first collection of the ten page strips he turned out on a monthly basis for Walt Disney Comics and Stories. Although it’s a rare panel when Huey, Dewey and Louie aren’t drawn in a line, the cartooning is great. 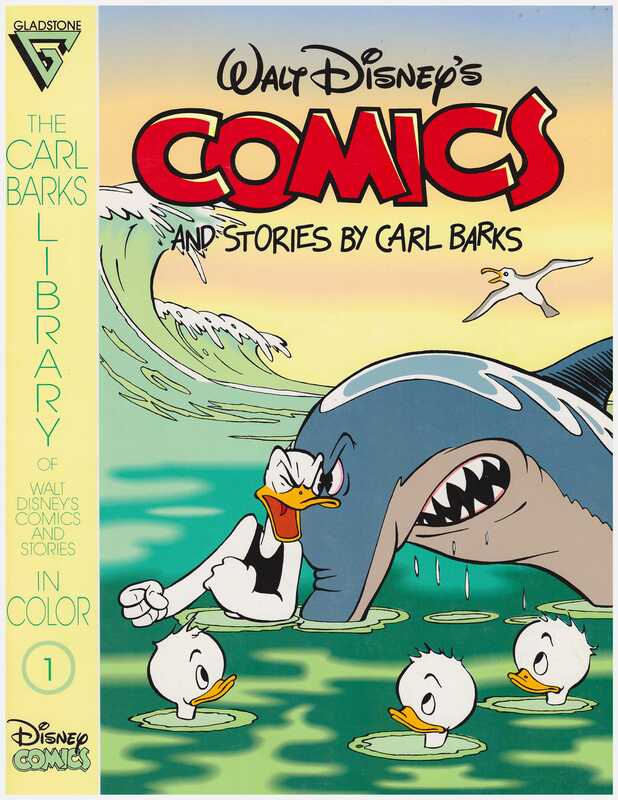 You can almost hear Donald Duck’s apoplectic explosion as he realises crows have been eating the seeds he planted, and there’s a sublime panel of a shark crashing into the surfboard Donald is holding upright, the impact compressing both against the board. What Barks hasn’t quite come to terms with at this stage is the differences between animation and comics. He plots the stories to build up to and deliver visual gags, but the pacing is too leisurely, and the gags are too few and too predictable. The best story here is the second, which is a primitive version of the formula that would work so well in the future. Donald lambastes the lucky rabbit’s foot that his nephews have faith in, refusing to credit its power despite witnessing it working for them on several occasions. Donald without the lucky charm comes a cropper every time, but he won’t learn faith is key. Barks also supplies an unusually savage gorilla for what was a notoriously conservative children’s comic. He didn’t know it at the time, but he also created his first recurring character in Mr Jones, the neighbour Donald deliberately provokes. 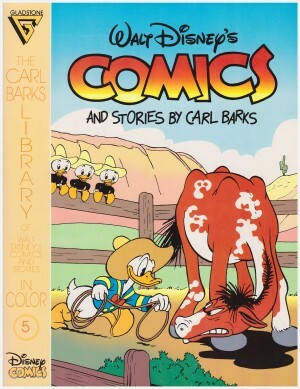 Reprinting all Barks’ contributions to Walt Disney’s Comics and Stories required 50 volumes and from this uneven start the quality curve rose rapidly upward.